Crumbly Fudge, rich with real butter and the taste of Once Upon a Time. 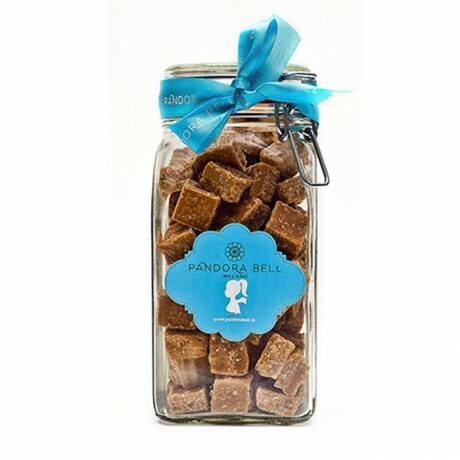 A fudge lovers dream come true with 800g of Pandora Bell’s classic butter fudge in a gift jar for those special moments! A dream for sophisticated foodies! 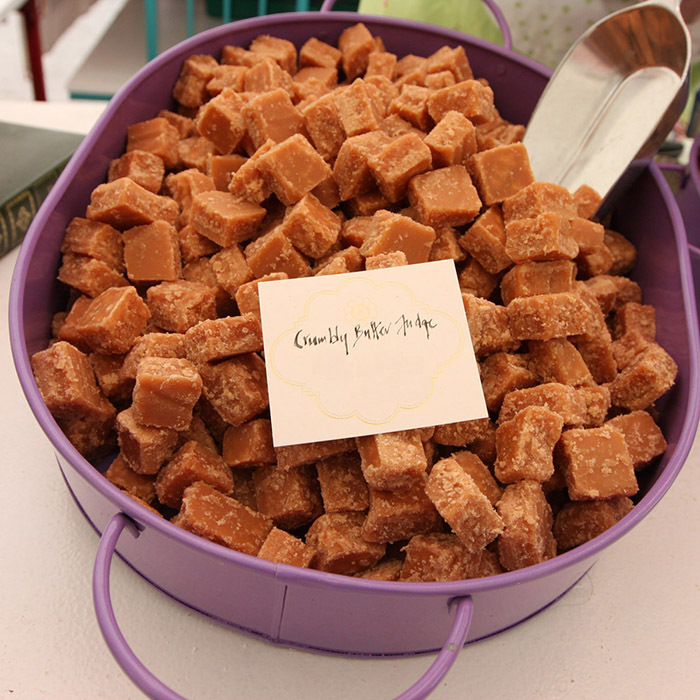 Irish Cream Liqueur Fudge: Sugar, Sweetened Condensed Milk (milk, sugar), butter (16%) (milk, salt), glucose syrup, golden syrup, Irish Cream Liqueur (5%) (water, cream, sugar, milk protein, palin caramel, emulsifier: sodium stearoyl-2-lactylate, stablisier: tri sodium citrate dehydrate, whiskey (0,5%), natural creamy vanilla flavour) fondant (sugar, glucose), natural flavouring.